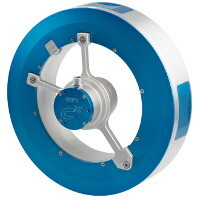 The CAEMAX 6-component Wheel Force Transducer WFT-Cx can be used on small cars with a rim diameter from 13 inches up to SUVs and small trucks with a hub diameter of up to 5.5 inches. In addition to its waterproof construction, it features shock resistance up to 100 g, thus allowing for the first time testing over “speed bumps”. The cooling-optimized design combined with excellent heat conduction from the aluminum WFT sensor housing avoids excessive heat input, even in the case of full braking. For example, over 20 braking tests (acceleration to 150 km/h followed by full braking) were carried out with the WFT: the temperature of the WFT sensor housing did not exceed the 50° C limit. 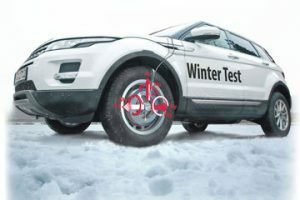 The entire signal processing is designed for temperature between -40° C to + 105° C. All of this results in a much broader application spectrum, which now also includes braking, comfort and tire testing with using the same WFT configuration. In the development of new vehicles, there are often no suitable load collective data for determining the real stress on the components during operation. These must be determined by means of test drives. The CAEMAX WFT can be used for wheel sizes from 13″ and is proven by its robust, waterproof design, even during multi-day testing. The measured values are precisely temperature-compensated by means of thermosensors distributed throughout the wheel. A WFT for component lifetime testing on the test stand must be durable. 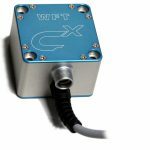 Especially for these applications, CAEMAX offers WFT sensor housings made of titanium or steel. 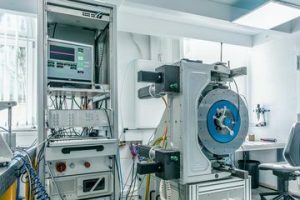 If a rotating measurement is carried out on a chassis dyno or on a road test, the wired signal transmission to the control unit is simply replaced by a stator with telemetric transmission. Since all of the WFT sensor housing types have the same shadow mask, existing adapters can be used for all types. Negative temperatures, melting water, ice and snow are a challenge for every measurement system. 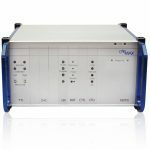 The CAEMAX WFTs have a wide temperature range: WFT-Cx -40° C … +105° C. In addition, their waterproof design allows test drives to be conducted in any weather condition – even on ice, snow or meltwater. Furthermore, thanks to its robust design and impact resistance of up to 100 g, testing over rough terrain is no longer an obstacle. With the CAEMAX adapter system, WFTs can be mounted with minimum effort on different vehicle types. The WFT sensor housing, telemetry module and adapter can be combined as desired. This covers a wide range of wheel sizes and vehicles. A quick system set-up and convenient software functions, such as zero calibration, allow the system to be test-ready within a very short time. 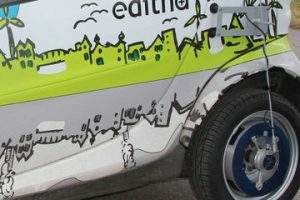 The hub adapter connects the WFT to the vehicle. It can be used for different types of vehicles, as long as the bolt circle and the wheel offset are the same. With just a few hub adapters, an entire vehicle fleet can be covered. As with a conventional rim, the rim adapter serves as a mount for the tire. The rim adapter is not directly specific to the vehicle, but depends on the tire. This allows it to be used on different vehicles with the same tire size. The WFT sensor housing connects the hub adapter and the rim adapter to each other. 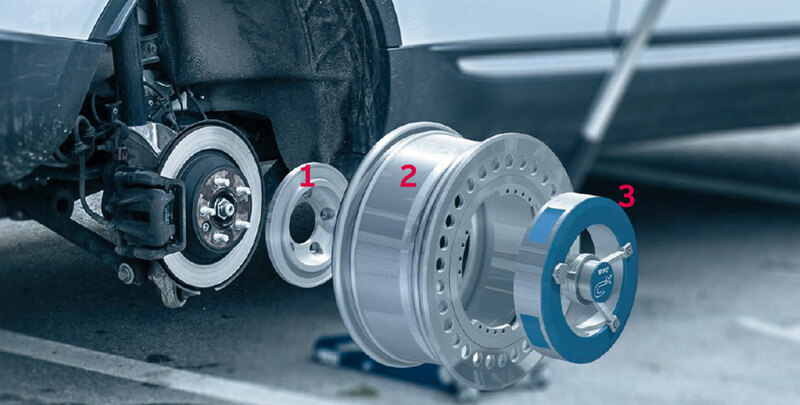 These three components together form the vehicle-specific wheel. Since the calibration factors are permanently stored in the sensor, you can recombine adapters and sensor housings at any time without having to calibrate the wheel again. 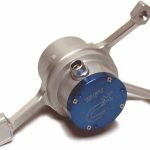 Thus, based on a modular design, a WFT-Cx Wheel Force Transducer can be adapted to the vehicle in a time-saving, space-saving and cost-effective manner. The installation of a WFT-Cx is almost as easy as a wheel change – four WFTs can be mounted in one hour. Thanks to an uncomplicated system set-up and convenient software functions, such as the zero calibration, the system can be test-ready within a very short time. The control unit takes over the online processing of the WFT data. A WFT telemetry interface (TTI) is standard for the connection of two WFTs. Expansion slots allow the installation of additional TTI modules and output options. This telemetry unit is used to transmit measured data from a fixed 6-component WFT-Cx (for example, on a test stand) to an external connection unit. This telemetry unit is used to transmit measured data from a rotating 6-component WFT-Cx to an external stator unit. 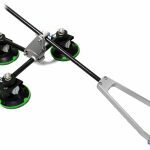 The torque arm (stator holding device) is made from carbon and has three adjustable suction cups serving to lock the rotating telemetry unit.